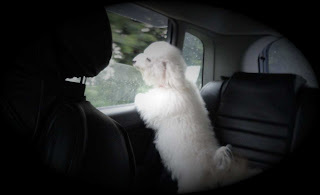 It is better to take your pets for car riding sometimes. It increases your bonds with them and also helps in socializing them. I personally think it is not good to leave them alone in home. We regularly go for outing with our pets. They like it very much, more than us. They enjoy the breeze on their face and try to scan all the outside views. They behave like humane. Our two pooches Sammy & Muffin always take their sides to enjoy. Dogs use to be frightened in the car if not trained properly. 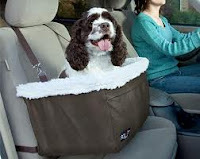 Hence, it is good to give them ride in the car as early as possible. Don’t force them to move in the car. Don’t even pick in lap and placed in the car even if it is pup. Better to provide ramp. Encourage them to go in by themselves. Praise & Give some treat whenever they go inside the car. 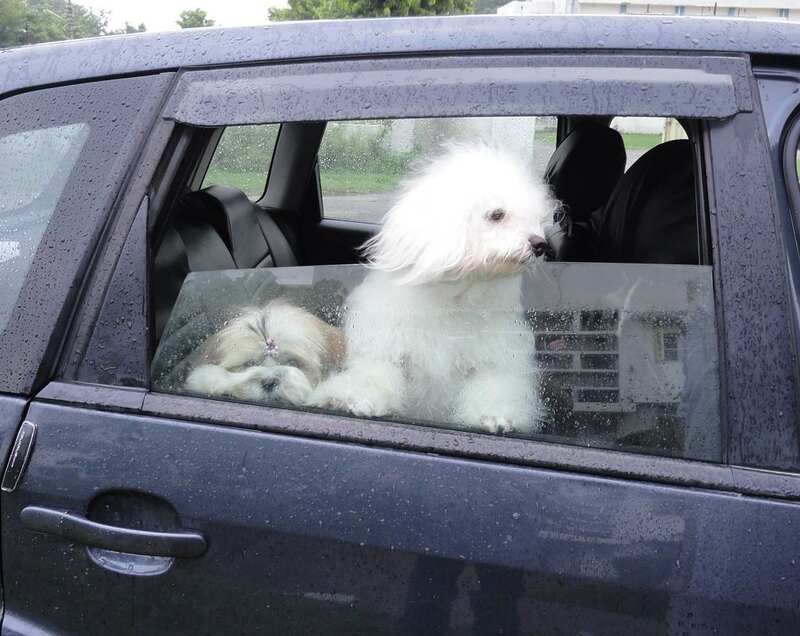 It may be stressful for them in moving car. Talk to them & show affection. 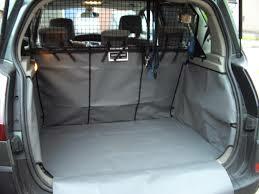 Care taken during traveling with car: They should be properly fastened with leash or body harness. It will help him not be impacted on you or on windshield during sudden break. There is also some attachment available for pet in the market. Weekends are very much special for us and our pooches. We get to spend happy time together. On weekends we go to our parents place or some other place. They live far from our place. We also take our pet along with us. Excitement builds up amongst them right through the week when they see that their knapsack getting loaded with their apparels treats, medication, toy & finally the food. To take pets for a long journey is not easy. They required utmost care. Anyway, with considering required care, the journey may become memorable. 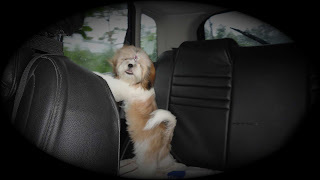 When we are taking our pets first time with us one of them was just 2 month old. We created a cabin for them by folding the seat. We put their crate so that they feel as they are in home. Put their toys too. In the whole journey they enjoyed like anything. 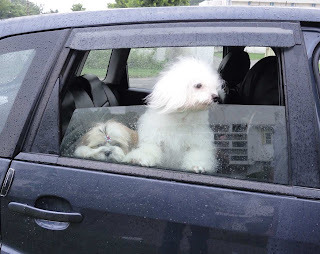 Sometimes they played with their toys, sometimes dangle out of the car window and rest most of the journey until they reach their favorite destination. Since pooches are like young child always, care must be taken. Create home environment within car. Put their toys & favorite things. They need to be relieved at every 3-4 hours run. They should be on leash or body harness. Food may be light as they may be under stress during journey. Basic medicine should always be with you. Contact details of your vet should be with you for any consultation. If you are careful for them. Then your each and every journey will be memorable.